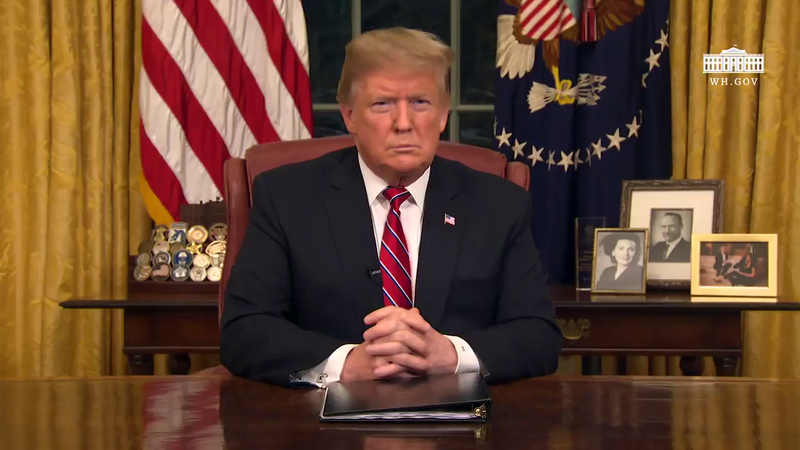 An unnamed news editor from Seattle’s local Fox affiliate Q13 was fired Thursday, after it was revealed that the editor had aired a doctored clip of President Trump’s January 8 Oval Office address to the nation. [Todd Herman writes]: A listener to my [radio] program sent me a video that appears to show a deceptively edited video of President Trump’s speech from the Oval Office. 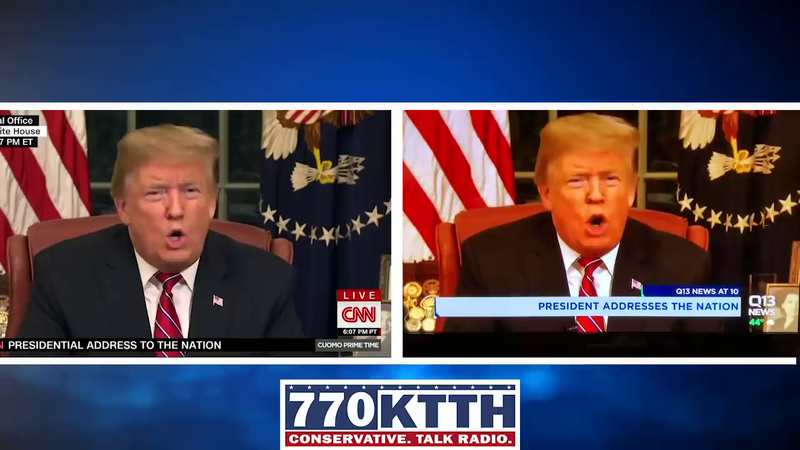 We performed a side-by-side comparison of the video from our listener, apparently taken by a smart phone recording of Q13, to the raw video of Trump’s speech from CNN. That comparison revealed the video was changed to make it look as if the President was sticking his tongue out languidly between sentences. In addition, the President’s face was distorted as was the color of his skin, making it appear orange. “This does not meet our editorial standards and we regret if it is seen as portraying the President in a negative light,” Q13 told KTTH and MyNorthwest on Wednesday evening. It is not clear if the editor was responsible for doctoring the video, or simply airing footage altered by somebody else. Watch the side by side of the clip from President Trump’s actual speech (left) and the doctored fake clip (right). 1. A NEWS station aired doctored footage of President Trump’s speech, to purposely mislead people about how he looked and sounded, making him appear in a negative light. What type of bias do NBC, ABC, CBS, etc. display in not reporting this story? 2. If any news station had done the same to a speech by any Democratic leader, do you think the media would have ignored the story? Explain your answer. 3. 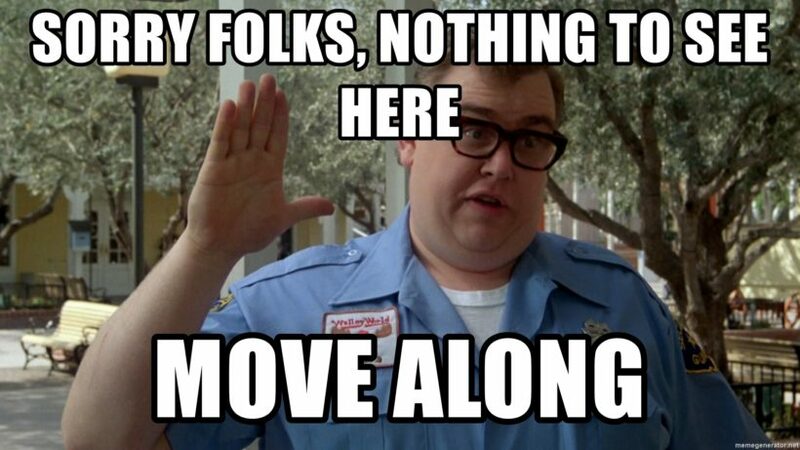 No national reporters found it newsworthy to investigate or try to interview the Seattle news station editor who was fired for doctoring a live address by the President of the United States. Why do you think this is so? Explain your answer. 1. By not reporting on a news station running a doctored video of President Trump, which misled viewers and portrayed Trump in a very negative light, falsely, NBC, CBS, ABC, et al displayed bias by omission and story selection.